I am spending three days on the campus of St. Paul's School in Concord, New Hampshire--the place I started my prep school teaching career years ago. I am here as part of a visiting evaluation team to review the school's athletic department. It's kind of fun to be able to take a break from my routine and poke around a similar school for a while. 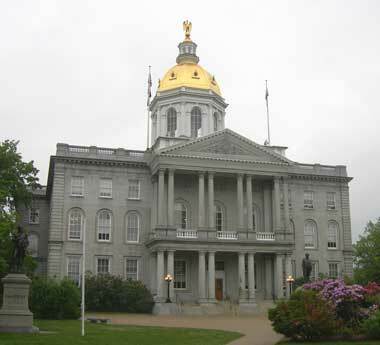 Concord is the seat of the State of New Hampshire. While visiting St. Paul's, I am staying downtown at the Holiday Inn, right across from the State Capitol. When I taught in the Law and Government program at SPS, we enjoyed frequent field trips to see the state legislature in action and visit other working parts of the government. On one such trip to the New Hampshire Supreme Court, we had an enjoyable session with one of its judges, David Souter, who has since been elevated to the U.S. Supreme Court. Souter clearly enjoyed interacting with students and led a lively and thoughtful discussion. The evaluation team I am part of is now wrapping up its visit to St. Paul's School. This has been a wonderful experience of collegiality. We all feel that the adults and students at SPS were wonderful hosts. And reviewing the athletic program at a peer school gives me a good opportunity to re-examine what we do at Choate and why. Add to that the nostalgia value for me personally of returning to the place where I discovered my vocation and this has been a very good week. Just finished a morning Chapel service at St. Paul's School. (We visiting athletic directors, here for our annual Eight Schools meeting--were introduced to the community by the Rector.) 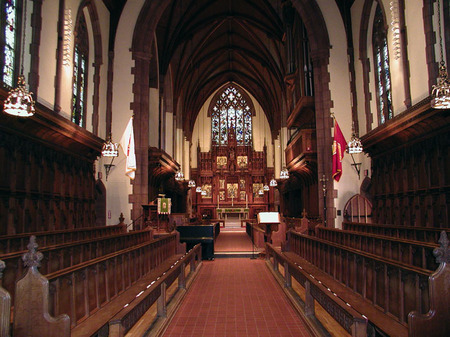 It was very nostalgic for me, as I spent four mornings a week in the Chapel of Saints Peter and Paul in my very first teaching job on this campus in the summer after my junior year in college. (Staggering to me how much time has elapsed since then!) After a long time without a visit to Concord, I've been back at SPS four times in the last eighteen months: once with the Choate debate team, once as part of an evaluation team, once with the girls' varsity squash team, and now for the ESAC meeting. 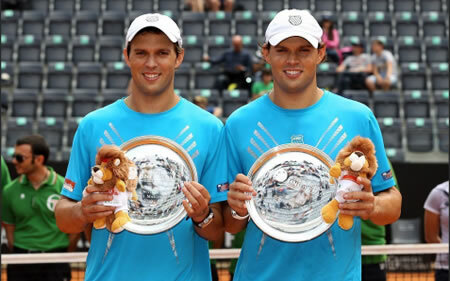 The Bryan brothers prevailed in the men's doubles final at Il Foro Italico today, and are now within one tournament win of tying the Open Era record for most championships claimed by a doubles pair. This record should fall soon. Who says American players can't play on clay? 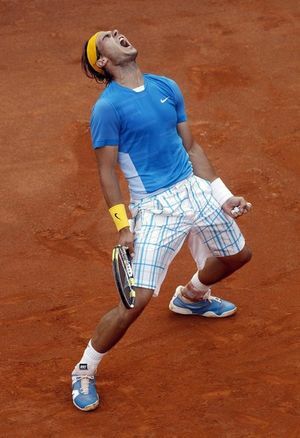 A Roman holiday for Rafael Nadal, as he defeated fellow Spaniard David Ferrer 7-5, 6-2 to win the Rome Masters crown. At the age of 23, Nadal already has equalled Andre Agassi's record of 17 titles in the Masters 1000 tournaments (the top level events below the four Grand Slam events). If he decides to play in the Masters event in Madrid a week from now--and this is where his 2009 troubles started, as he lost the final to Federer after being stretched to the limit by Djokovic in the semifinal a day before--he could bag another. But Nadal was vocal a year ago complaining about this event's place in the schedule, so close to Roland Garros, and his difficulty adapting to the conditions there. This page contains an archive of all entries posted to As Far As You Know in the Concord, NH category. They are listed from oldest to newest. Chilmark, MA is the previous category. Copenhagen is the next category.